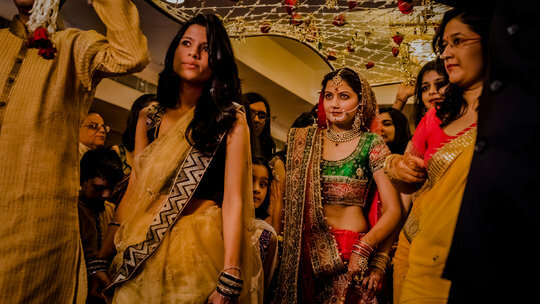 In India, urbanization, education and the rise of matrimonial websites are challenging centuries-old traditions of arranged marriage. Example A mother and her partner are both eligible for SPL. The mother ends her maternity leave after 12 weeks, leaving 40 weeks (of the total 52 week entitlement) available for SPL. She takes 30 weeks and her partner takes the other 10 weeks. SPL and ShPP are only available in England, Scotland and Wales. 8 panels of family law judges and practitioners examine interactions between family law litigation in California and foreign jurisdictions. In reversing IRMO Vryonis (1988) 202 Cal.App.3d 712, the Court stated: “We disagree with Vryonis and its progeny to the extent they hold good faith is tested by an objective standard that examines whether the facts surrounding the marriage would cause a hypothetical reasonable person to believe in its validity, i.e., a reasonable person test… Although an objective test has been found appropriate in … [the context of criminal cases], such a test is at odds with the precodification putative spouse decisions holding good faith is a factual inquiry that assesses a party’s credibility and state of mind in light of all the circumstances at issue, including the party’s personal background and experience…”. You may get a copy of the case from http://www.courts.ca.gov/opinions-slip.htm.